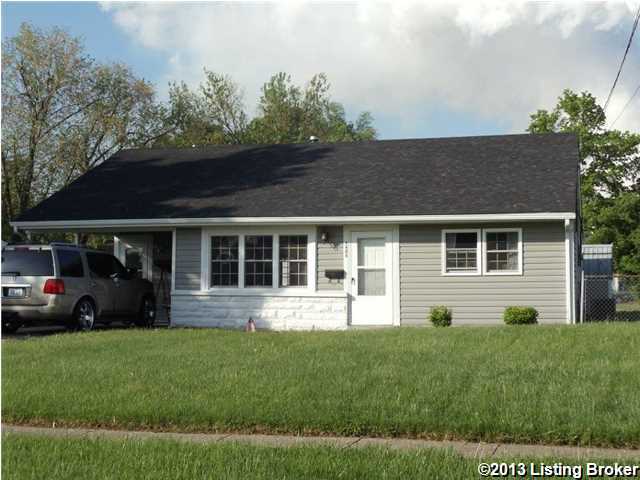 LIKE NEW...MOVE IN & ENJOY THIS BIG & SPACIOUS 1366 SQ. FT. HOME! Very modern colors! Updated kitchen cabinets & countertops, appliances can stay. Lamamite flooring through out! All bedrooms have 2 closets. Furnace in 2009, c/a in 2007, hardwood in 2010, siding in 2010. There are replacement windows too! Fenced back yard. 7406 Dunkirk Ln, Louisville KY 40272 is a Home, with 3 bedrooms which is recently sold, it has 1,366 sqft, 0 sized lot, and 1 Car Carport,Driveway parking. A comparable Home, has 3 bedrooms and 1.5 baths, it was built in and is located at 7114 Nathan Hale Way Louisville KY 40272 and for sale by its owner at $ 106,800. This home is located in the city of Louisville , in zip code 40272, this Jefferson County Home, it is in the VALLEY VILLAGE Subdivision, and Pleasant View are nearby neighborhoods.